Two of the most important parts of planning and managing a home addition construction project is estimating the building costs correctly prior to breaking ground on the project, and then staying on budget during the build. Years ago, when I decided to do my first major construction project, which was finishing the entire upstairs on my first home, I generated on paper a budget for the construction project. In essence, it was my first rudimentary home addition cost calculator. Throughout the several months finishing the upstairs, I maintained that budget religiously, tracking each and every cost as it was incurred. My rudimentary home addition cost calculator comprised of two sets of columns with several dozen rows. The first set of columns was my estimated budget numbers for each phase of the construction project, and the second set of columns was for my actual costs for each phase of the project. Each phase of the project represented a row in my paper home addition cost calculator. Check out my digital home addition cost calculators associated with my home construction bid sheets here. 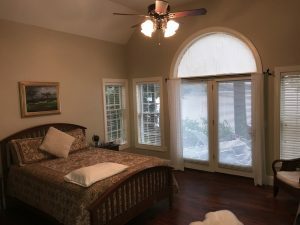 Suffice it to say, when I finished the construction of my upstairs, I was able to compare what I had originally estimated for the total cost of the project to what it actually was. I was also able to do this for each phase of the project, since I had that level of granularity in my budget. Effectively with this budget tool, I had created what was to be my first home addition cost calculator. It enabled me to track the overall cost of the project, and most importantly, enabled me to maintain my original budget for the project. From this first major home construction project I was able to estimate per square foot building costs for each phase of the home construction project, e.g. framing, electric, plumbing, drywall, flooring, etc., and then use this information later on for calculating home addition costs on my follow-on home construction projects. Several years later, with the advent of spreadsheet software, I transferred this knowledge and experience to my first digital home addition cost calculator, with the generation of a New Room Addition Cost Estimator spreadsheet tool. I then created variants of it as I took on other home construction projects, including a new home construction calculator, a kitchen remodeling cost calculator, and many more. I bundle these home addition cost calculators today with my new home construction and home addition bid sheets. The bid sheets themselves are tools that enable homeowners to either act as their own general contractor on their home construction projects, or guide them on how to find the right general contractor for their particular project. 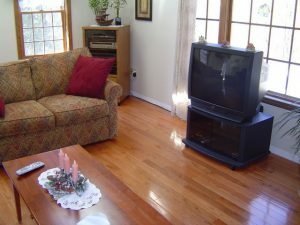 Today, I offer thirteen home addition bid sheet types, with eight of them including a separate home addition cost calculator Excel spreadsheet that can be used for calculating home addition costs, or home remodeling costs if it is a kitchen or bathroom remodeling type project, and tracking the construction costs during the life of the project. Again, each one of these bid sheet products includes a separate home addition cost calculator, or home remodeling calculator. 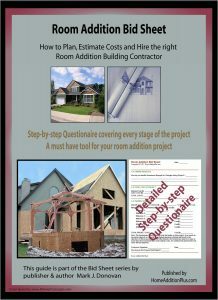 So, for example, if you’re planning to build a 12×12 room addition and you want to know what the costs of building your 12×12 room addition will be, the Room Addition Bid Sheet, along with its Room Addition Cost Calculator tool that comes with it, will enable you to estimate the total construction costs, and again, for each major phase of the project as well. So, if you’re thinking about a tackling a new home addition or home remodeling project, or even building a new custom home, remember that having a clear up-front understanding of what the expected total costs of the project is, is critical. And moreover, it is also very important to track the construction costs during each phase of the project. This is the only way you can help to ensure your project stays on track with your original project budget. And the best way to do this is with a home addition cost calculator tool that is both comprehensive and flexible.